Louvain-la-Neuve is a city known for a variety of reasons, but most notably its 24 heures vélo festival where students must spend 24 hours on a bicycle, usually attracting more than 40,000 students from around Belgium. 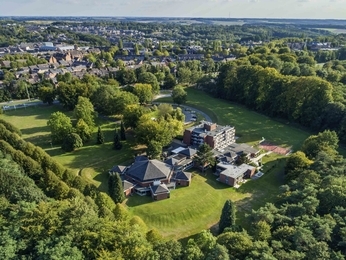 Make the most of your visit by taking your pick from our selection of hotels in Louvain-la-Neuve below. Home to the Hergé Museum in honour of Tintin's creator, Louvain-la-Neuve is a proudly Belgian area, with numerous shops and bars that promote Belgian beers. The city boasts a university, which largely sets the tone of the area. Booking a hotel in Louvain-la-Neuve couldn't be easier. Simply browse our selection of hotels below and choose one that best suits your needs. Booking online with AccorHotels offers a host of benefits, including our Best Price Guarantee and last minute and real-time room availability.